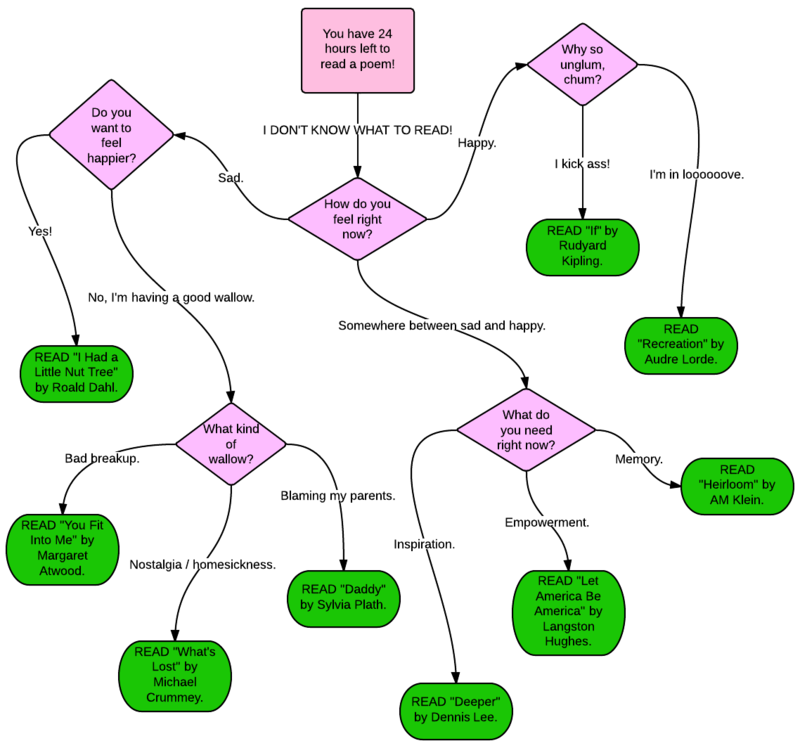 Flowchart Feature: Which Poem Should You Read? It’s April 30th. Have you read your poem yet? You know how it is. You see the blog posts about Poetry Month and you say to yourself, “Self, we’re going to read us some poetry this month.” And so you start to get a poem but then the phone rings and you have to make dinner and the cat barfs and before you know it’s April 30th and you’ve bombed Poetry Month. Again. We can’t let that happen here at Book Riot, so here’s a handy flowchart to help you decide what poem to read just under the wire before you miss another Poetry Month.